Looking to take your career to the next level? Designer Society of America has the solution for you. Consider sitting for our Residential Interior Designer Exam (R.I.D.E) created for interior design professionals just like you. For more information about the R.I.D.E., visit us online at www.residentialinteriordesigncertification.org. Just a reminder - We are headed to Atlanta for the 2010 International Window Visions Convention EXPO May 13-15 - and you can be, too! All DSA members will receive free VIP passes to attend the event being held at the Georgia World Congress Center in Atlanta. The show is being held in conjunction with the 2010 Southern Building Show. As you know, over the last several years hundreds of interior designers' constitutional rights were violated by Florida's ruthlessly prosecuted interior design law for alleged title violations, which prohibited interior designers from truthfully using a title which accurately described the services they were legally performing. Hundreds of interior designers were disciplined and prosecuted, received Cease & Desist letters and/or fines and their names were put on the Smith Thompson website, where Google and other Internet search engines had a field day, resulting in lost business and damaged reputations. On February 4, 2010, Judge Robert Hinkle declared that the Florida restrictions on the title "interior designer" and other unspecified "words to that effect" are unconstitutional and enjoined any enforcement of that provision. Subsequent to the judge's decision, IDPC sent a letter to the DBPR requesting that they take prompt, corrective action in instructing the board and the Smith Thompson law firm to remove the alleged title violation names from their website. Click here to read IDPC letter to DBPR. On April 15, IDPC learned that the Board has agreed to REMOVE these names and has instructed board prosecutor David Minacci of the Smith Thompson law firm to begin the process. A HEARTY CONGRATULATIONS FLORIDA INTERIOR DESIGNERS! AND ANOTHER NAIL IN THE IDAF'S COFFIN! Attention interior designers! 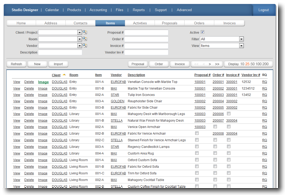 Project management and accounting just got a lot simpler. Struggling to make programs such as Quickbooks and others conform to your needs? Studio WebWare may have just what you need. Their newest product, Studio Designer, is an online project management and accounting application created specifically for interior design professionals. "Studio Designer can help interior designers manage their entire business by providing them with a process that frees them up to do what they do best - design," said Haeberle. While the company formerly had a desktop version of the program, the new online version offers complete mobility and can be accessed from any computer, anytime, anywhere. "We manage everything for them - backups, updates and servers," he explained. In addition, free recorded training classes and email support make getting started simple. For those who need more detailed training, a six-hour online training class covers everything for a one-time fee of $100. Or one-on-one training is available at rates that vary according to need. There is no start up fee, no installation and subscribers can cancel at any time. Studio Designer is both MAC and PC compatible, and at just $25 a month for Designer Basic and $35 a month for Designer Professional, is very affordable. In addition, Studio Designer has the ability to interface with many other technologies, added Haeberle. While we may love the colors we select for a client, it may not always be correct for what she/he perceives. If there is opposition, what do you do next? Do you try and persuade the client that you know best; it's perfect; and nothing else will work as well? Or, should have done your color homework first? Did you pick out your client's wall color in your office where it looked fantastic? Does your client (or you) have UV film on the windows; tinted glass, reflections from outside landscaping, lots of natural light, or very little light? What type of light bulbs will be used? Will more time be spent in the room in the evening or daytime? Will the color look stronger in the afternoon light than in the morning? Since color is constantly changing due to the angle of the sun, quite possibly there will be a certain time of day it looks very different in light and shadow. Wall color, especially, needs to be selected in the environment where it will be used, not chosen in a different location. A huge consideration is color psychology. While we normally associate with the positive aspects of color, not much is said regarding negative connotations. Color psychology, spoken of in generalities, is actually different for everyone. Yellow, not always sunny and cheerful, can be irritating to many. Green, the soothing color of nature, can also represent sickness and nausea. Consequently, a thorough understanding of client color preferences is a must. Color is a subjective emotional reaction to visual stimuli. 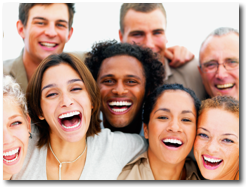 Any previous experiences or cultural differences may have enormous impact or bias as to whether they like a color or not. If a client says they love blue, do you know which blue they are thinking of: warm blue, cool blue, light blue, dark blue, gray blue or bright blue? Or, do they see their favorite blue as possibly having a tint of green? If I asked you why you became an interior designer, you might tell me that you used to rearrange your room as a child, or your friends always commented about your fabulous style and asked you to help them with their homes. At some point, you just knew you wanted to be an interior designer. And then you went to school. You learned how to do design, and maybe you had a class or two about business. But did any of your teachers really talk about how to get clients, and once you got them, how to make them happy? What does your client really care about? They see your portfolio online or they see someone's home that you did, and they call you. Do they care about how hard your job is? No. They care about what they want, how they want it and when they want it. What they really care about is how they're going to feel about themselves once they get that beautiful result you're going to deliver. Especially with today's savvy consumer, you have to be a great designer, and even more importantly, you have to do something more to please them and get great referrals. What is that? Today's consumer expects to be "wowed," surprised and delighted by the great experience of working with you. If you want amazing referrals, you have to amaze your clients. Would you like to know how? On Wednesday, May 12 at noon Eastern (11 am Central/ 10 am Mountain/ 9 am Pacific), I'll be interviewing Shep Hyken, CSP, CPAE, an amazing speaker and best-selling author who works with companies and organizations that want to build loyal relationships with their customers and employees. He is known for his high energy presentations, which combine important information with entertaining humor and magic to create exciting programs for his audiences. I saw Shep speak in San Diego earlier this year, and he's funny, warm and engaging. He normally charges $25,000 for a keynote speech, so this is a rare treat. You'll be able to attend this event for free when you try one of our "Business Mastery Anniversary" packages. Click here for more information! Gail Doby, ASID, DSA, has over 30 years of business experience with a Fortune 500 company in sales and marketing, her own consulting practice working with a subsidiary of American Airlines on a quick-turn facilities build-out project and 23 years running her own high-end interior design firm, specializing in renovation and new construction design for ultra affluent clients. Gail has a BSBA in finance and banking, an associate of applied science in interior design, and has her NCIDQ certification. Gail co-founded Design Success University with Erin Weir in March 2008. DSU's mission is to provide the highest quality of education and services to support you and help you create a profitable and exciting business. James "Jim" Ruud is the winner of the DSA Portfolio Contest. In 1977, Jim formed his own painting and wallpaper contracting business and began work on his degree in interior design at Wayne State University in Detroit, Michigan, later attending the design school at the University of Cincinnati. In 1984 I was offered a position as an interior designer at the A.B. Closson Jr. Company, considered the top interior design and furniture source in the greater Cincinnati area. He later returned to the Detroit area and joined Kennedy and Company, a private, high-end interiors firm located in Grosse Pointe Farms, Michigan, where he remained for nine years. 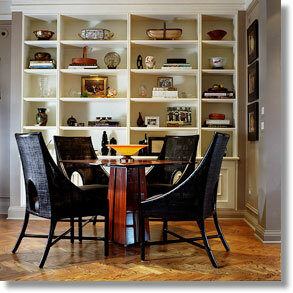 In 1994, he formed his own interior design business, operating between Grosse Pointe Farms and Chicago. By 1995, he was in Chicago full time, and today his client base ranges from Chicago to the North Shore to Hinsdale, Illinois. He has also worked inManhattan, Palm Beach and the Rhode Island shore. "The best jobs are ultimately the result of close attention to the architecture first," shares Jim. "Proper space planning, molding and finish trim details, lighting and floor materials are key in making the decorative elements that inhabit the space look their best. "I feel that proper lighting is key. This would involve not only those permanently installed fixtures as mentioned above, but perhaps even more importantly, the correct placement, quantity and design of table lamps, reading lamps, small lights to highlight works of art, and other ambient light sources." Jim's work has been most often described as warm, tailored and comfortable, with the preferred method of design a mix of traditional and contemporary elements, with the heavier emphasis being on the traditional. Preferring texture over pattern in the fabrics that he selects, Jim has an extensive background working either in a more restricted palette and neutral tones, or a mixture of color and pattern, and says both are appropriate design options when handled correctly. Congratulations, Jim! I cannot believe that summer is nearly here and school is almost out. This year is flying by so fast, and there is still so much to do. DSA is growing and this is a very exciting time! The last year has been filled with new challenges and changes but never like what we are facing the rest of this year. 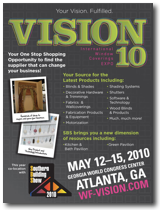 DSA will be an exhibitor in the Visions 10 show in Atlanta May 13 - 15 (free passes are available). Chapter groups will kick off July 4, and Natasha will be holding a Raising the Bar Seminar at the ADAC in Atlanta Oct. 8 (discount for members). And there's much more in the works. Natasha is also being featured in several classes available through DSU. I hope everyone caught the free interview she did with Gail Dolby on May 4 that was available to all members. I'm excited about all the great stuff going on at DSA but especially the chapter groups. This has been a long awaited request from a lot of our members and something we are excited to launch. We wanted to make sure we had the processes in place to best support the members and we are now ready to move forward. The application process for chapter leaders closes May 10, but as long as you request an application by that day, you will be considered. We are waiving the normal process but you must be an active member with six years of experience, including both work experience and education. Interviews will be completed by June 15 and our first chapter meetings will start off with a bang July 4. We will release all information on that day as to where your chapter meetings will take place and contact information for your chapter leader. The best thing about DSA is that we are designed for our members. We truly encourage your input, ideas and support. We see the need for an interior design society like DSA that supports members with affordable, informative, supportive information and still offers certification, CEUs, classes and networking. However, we can't do it without the support of our members. In order for us to continue to give the best cost with the best member benefits we must continue to grow and expand our opportunities. If you send me the names and email addresses of 10 contacts that are interested in DSA, I'll add two free months onto your membership! Also, be sure to suggest our Facebook page to all your designer friends. We appreciate all your help in spreading the word about an interior design society that supports legislation, offers networking, classes, a free online portfolio and much, much more. We cannot have a successful, affordable organization without the help of our fantastic members to spread the word and the excitement of having another choice when it comes to certification.